Pilar joined Deily & Glastetter in 2008 and became a partner in 2014. She is the attorney manager of the firm's Retail Collections and Replevin department. The firm's dedicated Collections department handles retail collections in the states of New York, New Jersey, and Connecticut for local and national clients. Pilar focuses on the areas of creditors' rights for national and local business clients, and has experience in handling all aspects of pre and post judgment collections. She also trains collectors and support staff on the legal issues surrounding collections law, specifically third party collections and the Fair Debt Collections' Practices Act. Pilar also manages the firm's Replevin department, which handles asset recovery for the firm's local, regional and national clients in New York, Connecticut, Massachusetts, New Jersey and Pennsylvania. Prior to relocating to New York, Pilar practiced in Georgia in the area of consumer bankruptcy dealing with all aspects of Chapter 7 and Chapter 13 bankruptcy cases. She worked in both private practice and with the Office of the Chapter 13 Trustee. Pilar served as law clerk to the Honorable Robert E. Littlefield, Jr., U.S. Bankruptcy Judge for the Northern District of New York before joining Deily & Glastetter, LLP. Additionally, Pilar’s past experience includes various areas of litigation with an emphasis on contracts, employment, employment discrimination, products liability and commercial and residential property tax appeals. Pilar is the current Vice President of the Creditors' Association of Upstate New York and is a regular speaker for their presentations. 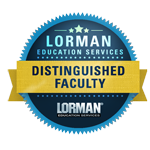 She received recognition as a distinguished faculty member in 2013 from Lorman Education Services© for her presentations on landlord and tenant law. Pilar and her team were awarded an Outstanding Vendor Performance award for a Collection Attorney Group by TD Auto Finance, LLC in 2014. Pilar has been repeatedly recognized by Upstate New York Super Lawyers® (2013-2017). Pilar was selected to the Upstate New York Super Lawyers® list issued by Thompson Reuters™. A description of the selection methodology for Super Lawyers® can be found here. No aspect of this advertisement has been approved by the Supreme Court of New Jersey or any other court.